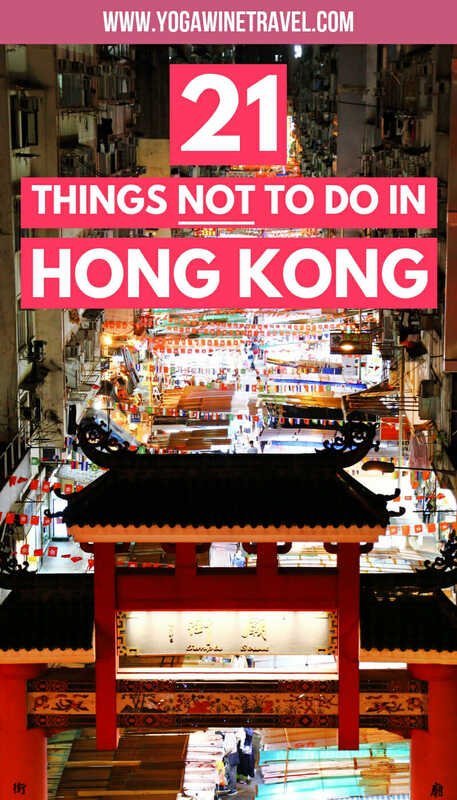 Wondering what not to do in Hong Kong? Read on to avoid making any Hong Kong travel mistakes! Are you traveling to Hong Kong for the first time? As with any new travel destination, there are some important do’s and don’ts that you should know before traveling to Hong Kong. 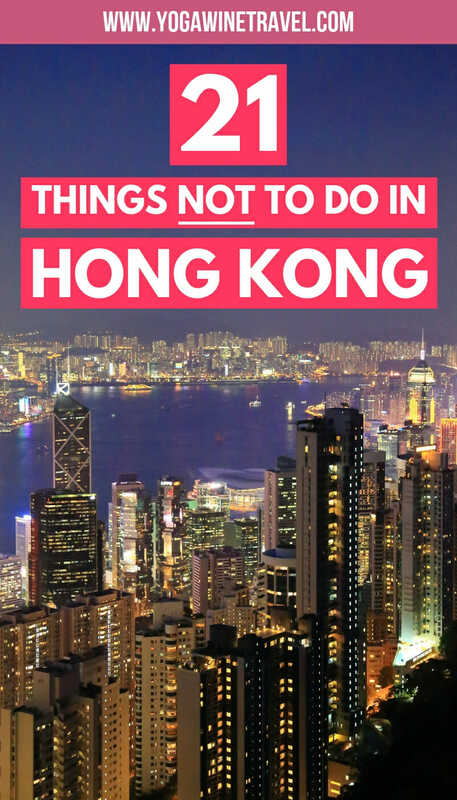 Keep reading for some insider tips and tricks on how to make the most of your time in Hong Kong and avoid any gaffes and missteps – take it from someone who’s lived in Hong Kong for nearly 3 decades! 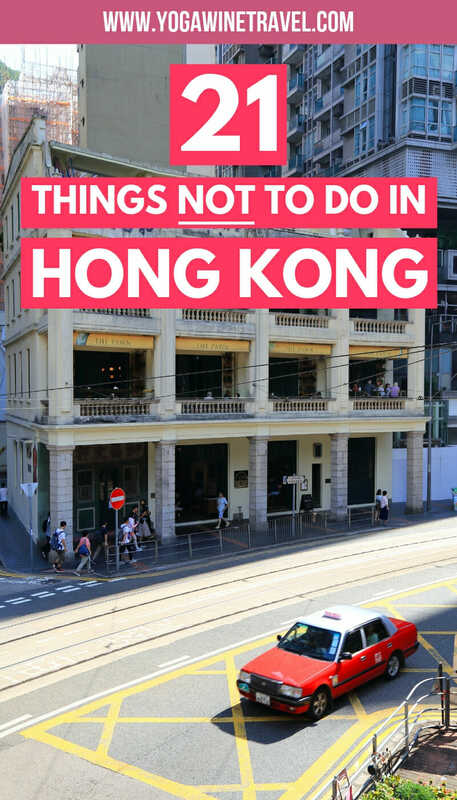 Without further ado, here are 21 things not to do in Hong Kong. Let’s start with a no-brainer, but you’d be surprised how many people ask me how I like living near the Great Wall of China or if I speak Japanese. 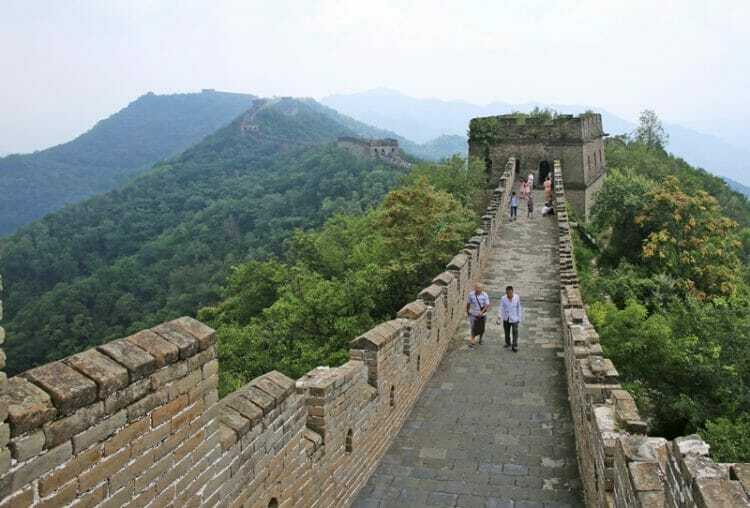 Guys – Hong Kong is made up of more than 230 islands in the South China Sea, and shares a border with Mainland China, and there might be a “mini Great Wall” on Cheung Chau Island but I don’t live near the actual Great Wall of China. So, is Hong Kong part of China? Yes, and no. 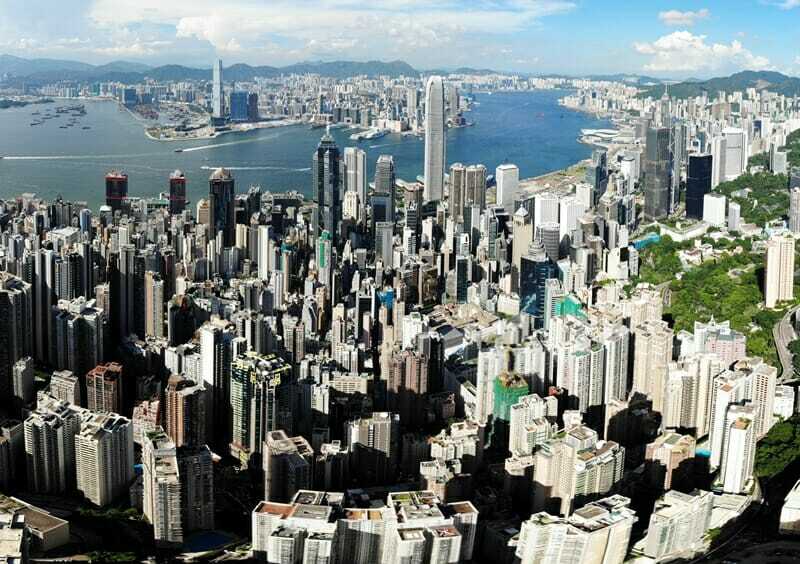 Hong Kong is a “Special Administrative Region” governed under the principle of “one country, two systems”. 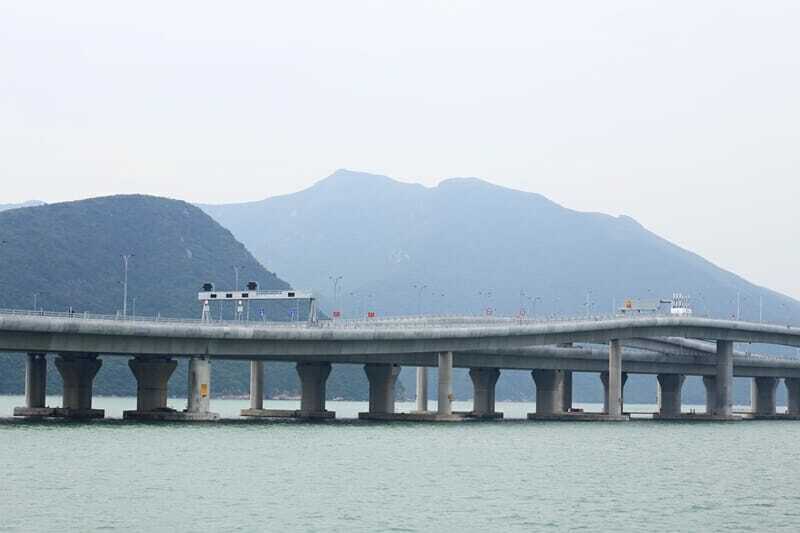 Under this principle, China has agreed to give Hong Kong a “high degree” of autonomy. 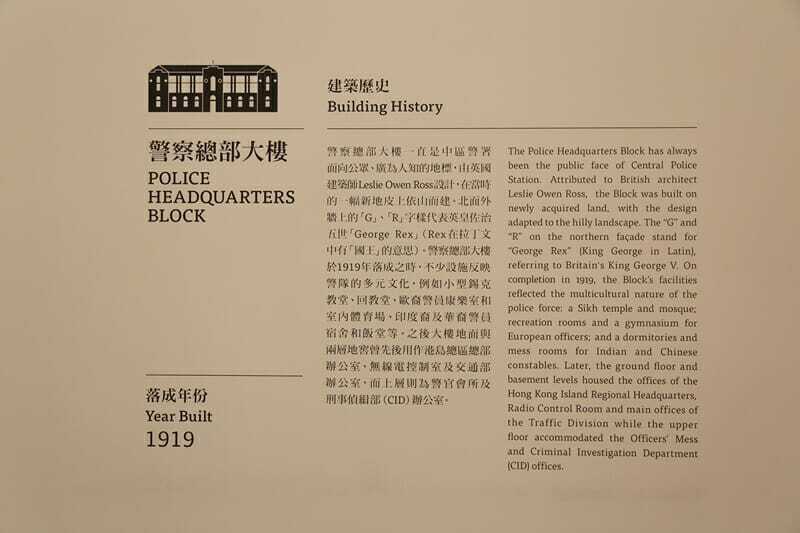 Read more about the history of Hong Kong here and here. However, in reality Hong Kong operates much like its own country, at least for now. Hong Kong has its own currency (the Hong Kong Dollar), passport and immigration channels, legal system, flag, dialect and sports teams. For the record, Hong Kong is nearly 3,000 kilometres from Japan, and the Great Wall of China is in, well, China! It’s been 20 years since the handover of Hong Kong back to China, but not everyone identifies as “Chinese” or would say that Hong Kong is part of China. Hong Kong is, understandably, going through a major identity crisis and experiencing cultural dissonance as China’s influence over the city grows stronger. You can read more about it here, but it’s an issue to be mindful of before you visit. 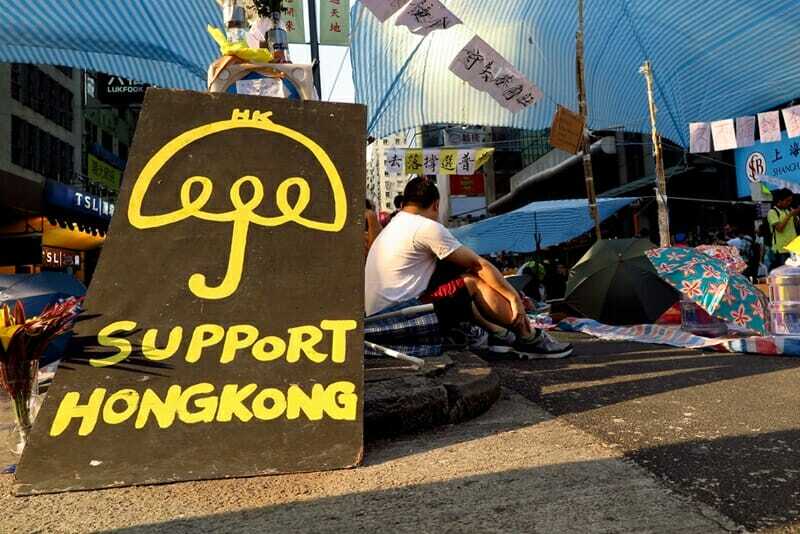 Don’t strike up a conversation about Hong Kong, China or the Umbrella Movement with just any random, especially if you’re not sure what their stance is as it can get heated. The main language spoken in Hong Kong is Cantonese, a local dialect. However, many people speak English (or at least basic English), and almost all signs are bilingual. After all, Hong Kong was a British colony for more than 150 years! Nothing irks me more than when people ask, “why is your English so good when you’re from Hong Kong?” There are tons of international schools in Hong Kong, and the majority of the local schools teach English as well. Don’t act so shocked when you hear people from Hong Kong speaking with a British or American accent. 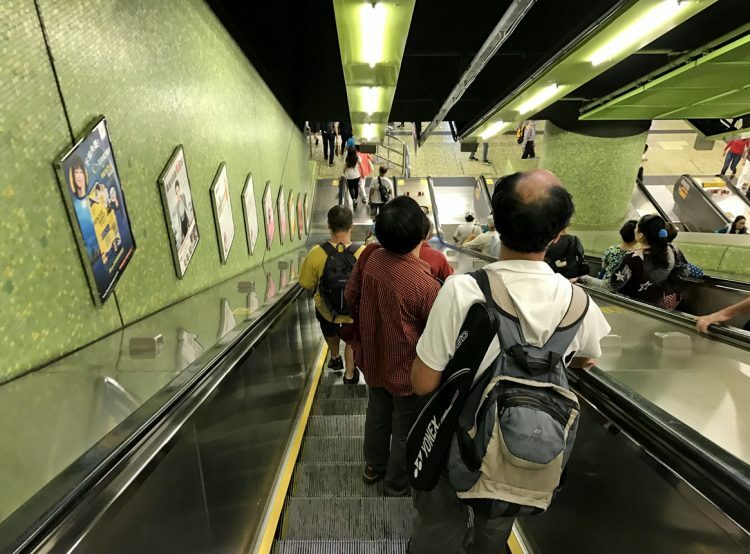 I mentioned this in this article on things to know before visiting Hong Kong, but when you are walking anywhere that has escalators or a moving walkway/sidewalk in Hong Kong, remember to stand on the right and let people pass you on the left! People get extremely annoyed when people block the left side of the walkway and it’s always a telltale sign that you’re from out of town. If someone is standing on the left and you need to get pass, just say “mm goi” politely to ask them to move. 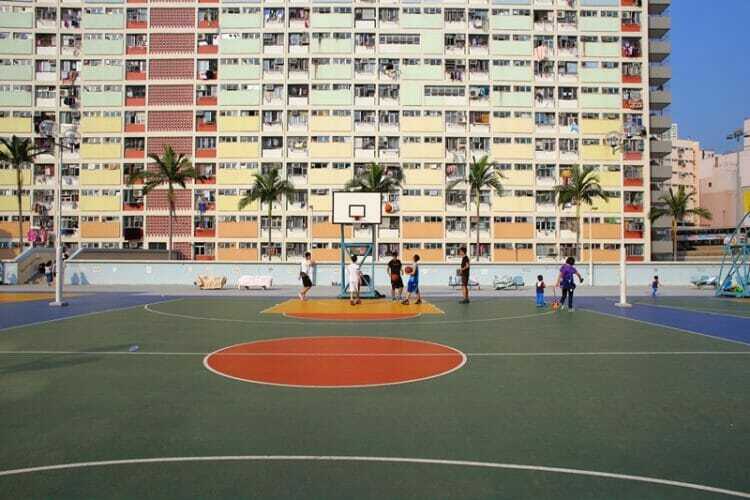 Yes, it’s true that Hong Kong is an extremely colourful and photogenic city, but it’s important to respect residents who live at places made popular by Instagram such as Choi Hung Estate and Montane Mansion. 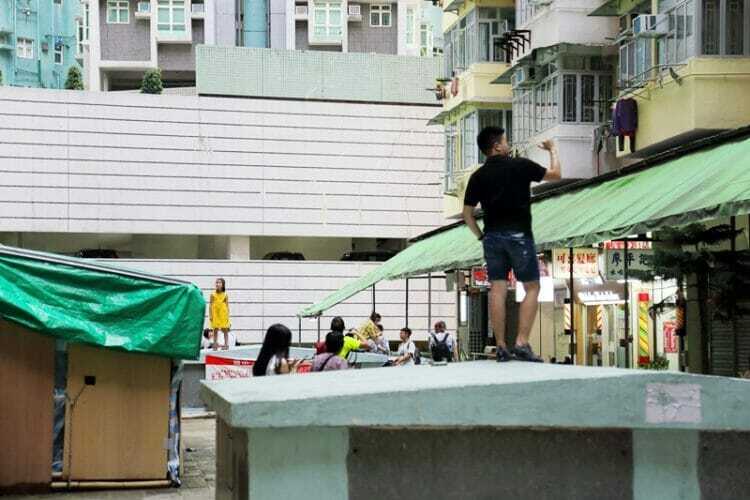 In fact, local residents in a building in Sham Shui Po are constantly overwhelmed by trespassers who take photos from their private rooftop, and residents in Choi Hung Estate are tired of not being able to use the basketball courts and dealing with Instagrammers leaving their trash everywhere. Hong Kong has some incredibly colourful landmarks that are rich in culture and heritage – click here to read up on some of the most colourful places in Hong Kong! When I visited Montane Mansion (the “Transformers” Building), there were clear signs asking people not to step on the roof area, but I saw dozens of people climb up for their Instagram photos time after time. Please, the rules are there for a reason, and people are just trying to live their everyday lives – remember that before you intrude for a photo! If you want to visit the Instagram hot spots in Hong Kong, be quiet, don’t get in the way of locals, don’t hop a fence or trespass, read up on the history of the place so you appreciate the heritage, take your photo and leave. Hong Kong is more than just a city with hundreds of towering skyscrapers. In reality, the skyscrapers only cover a small portion of Hong Kong and the city is made up of more than 200 islands, country parks, hiking trails, beaches and waterfalls…most of them located no more than an hour away from the central business district. 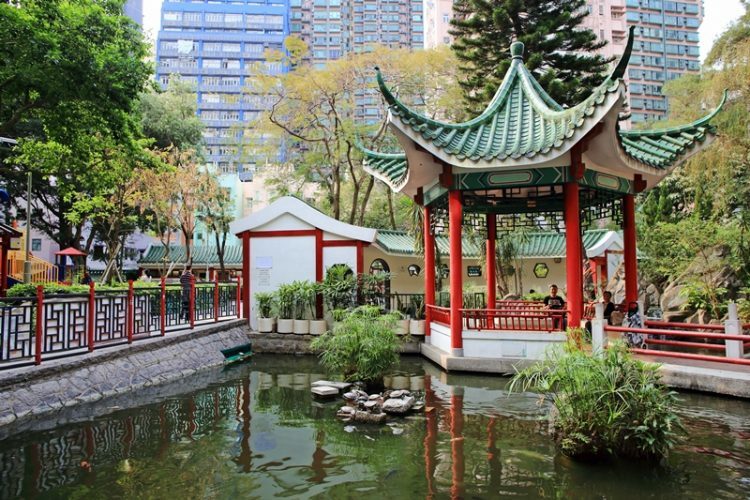 Some of the coolest things to do in Hong Kong are off the beaten track, so make sure you hit up some of the lesser-known places in Hong Kong. 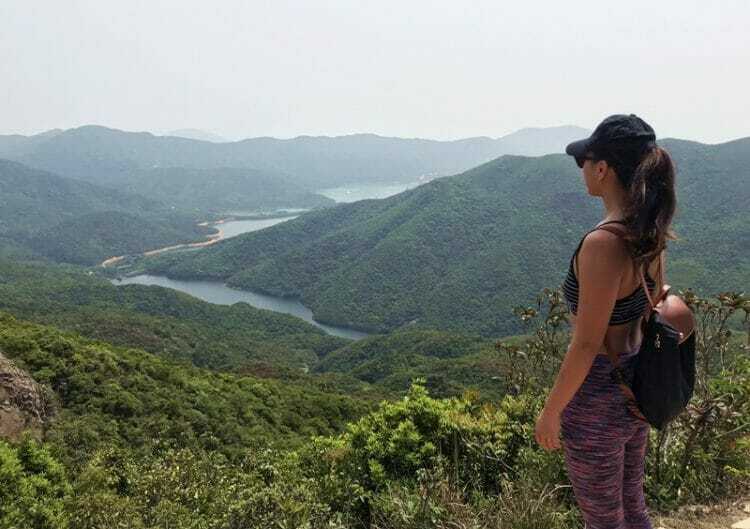 Read on for fantastic Hong Kong day trips that don’t involve too much hassle and travel time or head on over here for things to do in Hong Kong that most probably aren’t in your guidebook! One of the first things you have to do when you arrive in Hong Kong is get an Octopus card. It is a stored value card that works on all forms of public transportation as well as all convenience stores (and some other shops). You can purchase your tourist Octopus card in advance here – pick it up from the airport when you arrive, and it comes with HK$50 already pre-loaded! 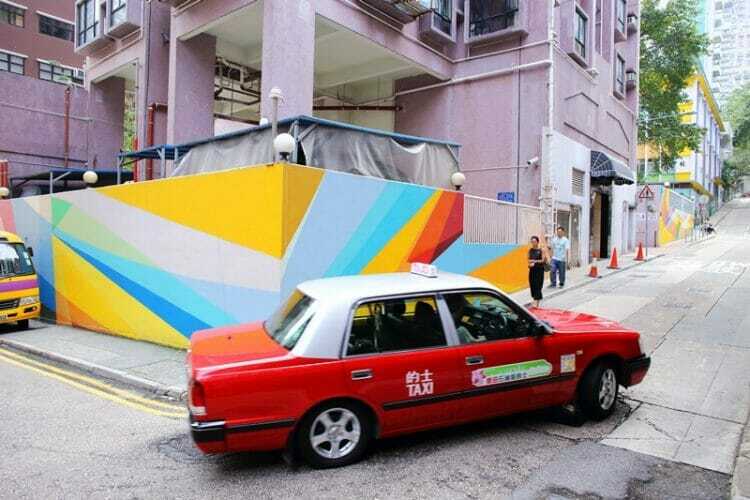 But here’s the thing – taxi drivers do not accept the Octopus card or credit/debit cards. Cash only, baby. Taxi drivers in Hong Kong also don’t accept $500 or $1000 bills (unless you ask them before getting in), so make sure you have $100 notes or smaller. Getting into a taxi and trying to pay for a large note is a big faux pas in Hong Kong, and taxi drivers can get really irritated as they often don’t carry enough change – just one of those things not to do in Hong Kong that you don’t realize until it happens to you. Don’t have cash on you? Some taxi drivers use the “HKTaxi” taxi hailing app – you can pay by Visa or Mastercard via the app, but there is a 3% administration fee for credit card payments. Make sure you set up your account and add your credit card before you hop into the taxi, don’t dilly dally at the end of the ride. Though taxis in Hong Kong are cheap, you don’t need to take them everywhere. 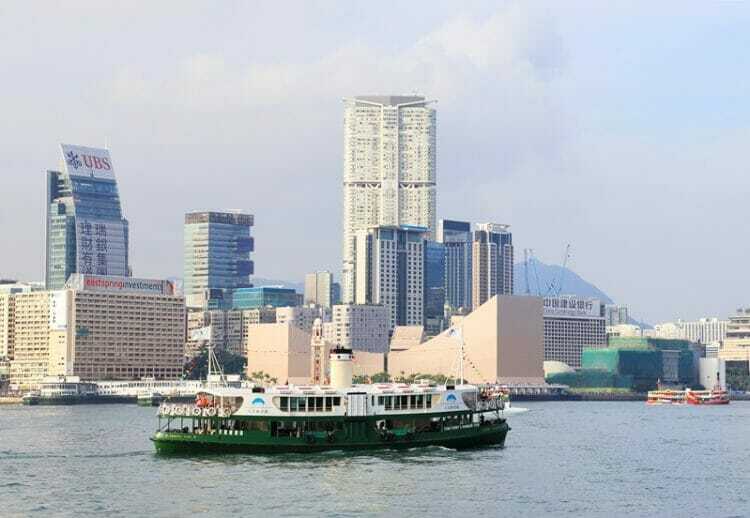 In fact, its often faster to take the MTR subway system, ferry, minibus or tram, especially if you’re crossing the harbour between Tsim Sha Tsui and Hong Kong. Taxis can also be hard to catch during “shift change” time from 3-4 PM. Public transportation is efficient, cheap and clean, and the network is very extensive – there aren’t many places that aren’t accessible by public transport. The best way to get to and from the airport is via the Airport Express train. 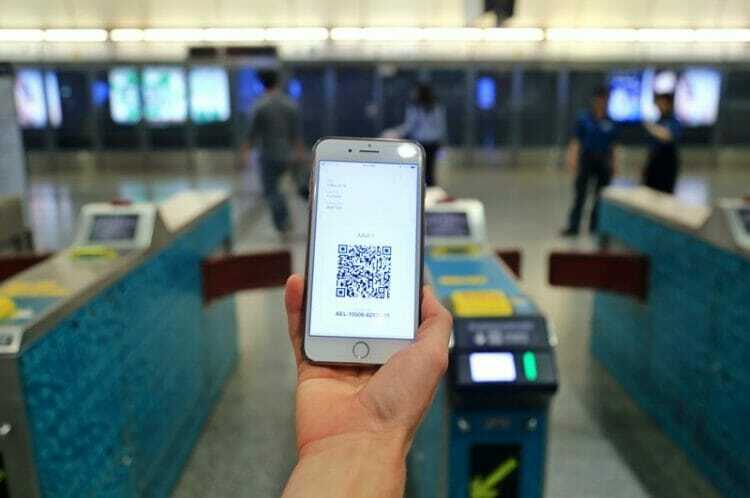 Tickets can be purchased at the station and the train stops in Tsing Yi, Kowloon and Hong Kong Island – it takes just 24 minutes from end to end! Want 30% off your Airport Express ticket? Buy your ticket ahead of time online here! Traveling to Hong Kong for the first time? Click here for for the most iconic sights and must-see places to add to your Hong Kong itinerary! 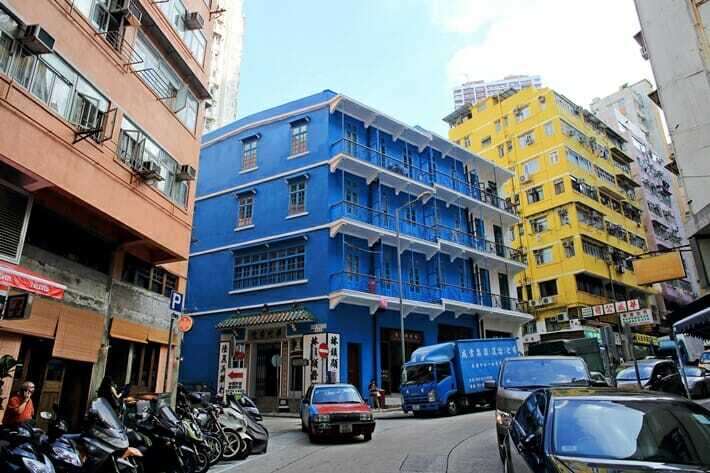 Temple Street is one of those iconic Hong Kong landmarks that has a lot of history behind it, so naturally it is on most visitors’ itineraries. But the truth is, most of the stuff being sold along Temple Street market is junk – cheap electronics that break down after a week, or inauthentic souvenirs that were made anywhere but in Hong Kong. If you want to pick up authentic Hong Kong souvenirs, pick up some local baked goods or wander through PMQ and The Mills for products from local designers. The Hong Kong Convention Center also has a design gallery shop showcasing local brands and designers. 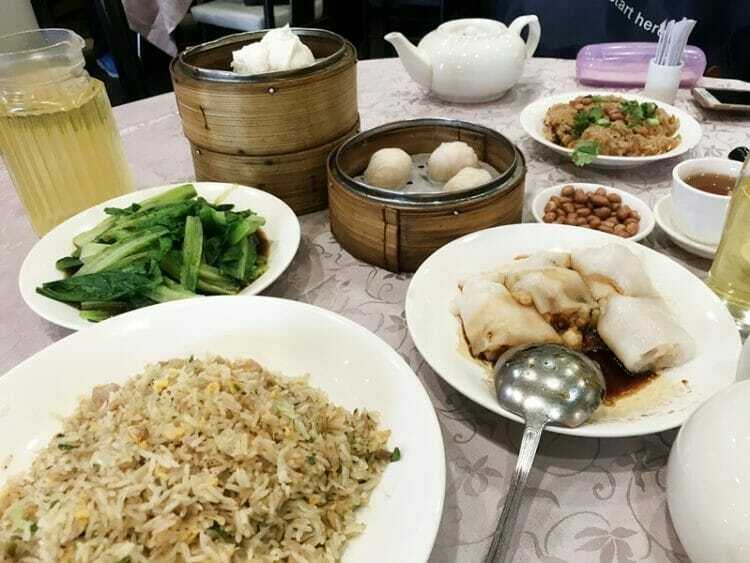 While I’m a sucker for dim sum, there’s more to Cantonese cuisine than dim sum, and there’s more to Chinese cuisine than fried rice and spring rolls. 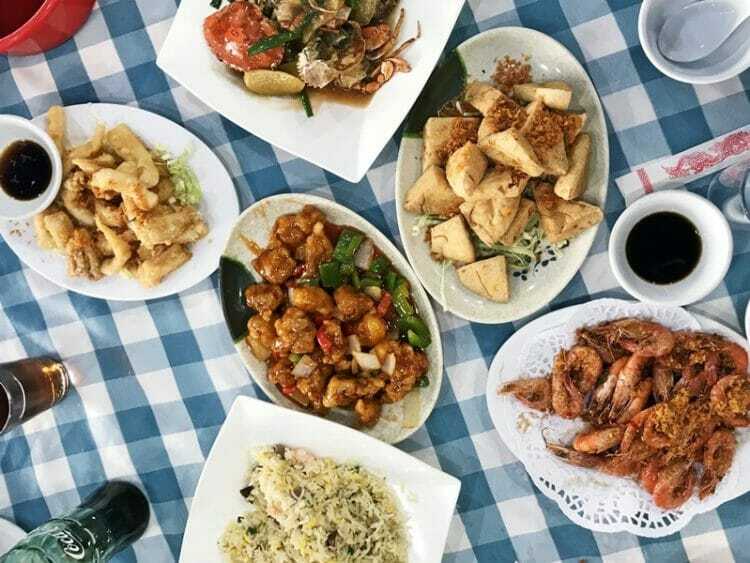 Chinese regional cuisines are the different cuisines found in different provinces, and there are actually 8 major types of Chinese cuisine, each completely unique from one another. When you’re in Hong Kong, take advantage of the fact that there are thousands of restaurants spanning almost every single cuisine in the world. 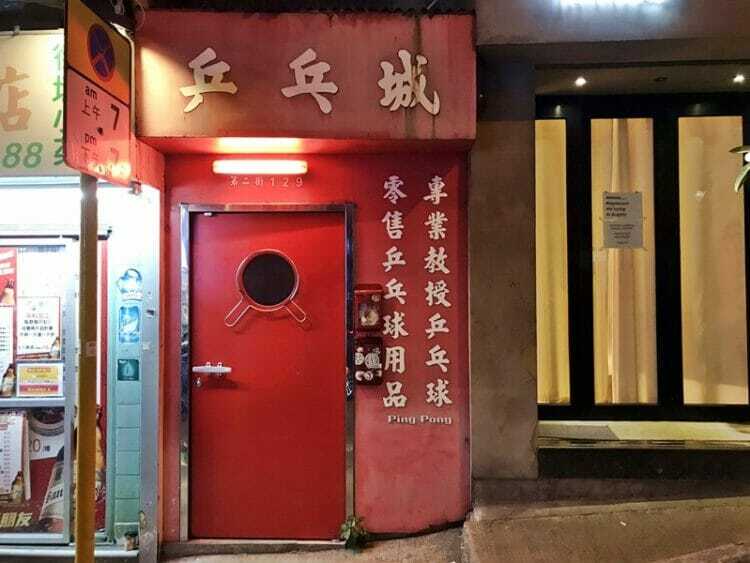 Here are some of my go-to restaurants in Hong Kong that never disappoint! As we’ve established, Hong Kong has outrageously good restaurants and you’ll be spoilt for choice. But you’d be missing out if you didn’t try the street food in Hong Kong. 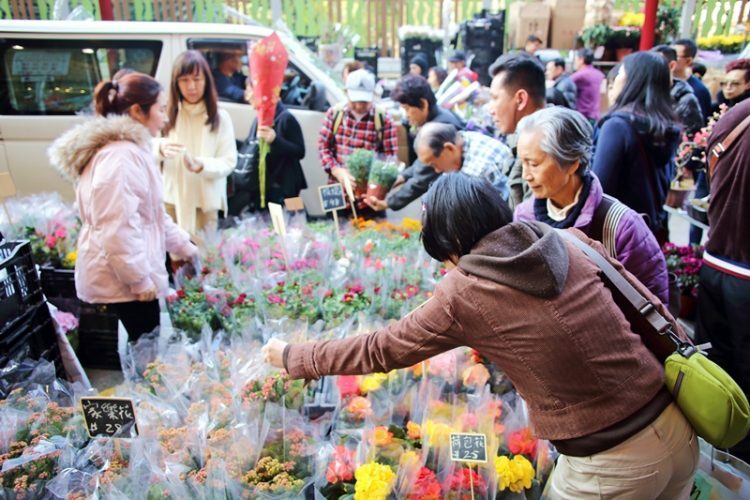 These little mom and pop shops are all over Hong Kong and you can find them in the back streets of Sheung Wan, Wan Chai, Causeway Bay, Mong Kok and Sham Shui Po easily. 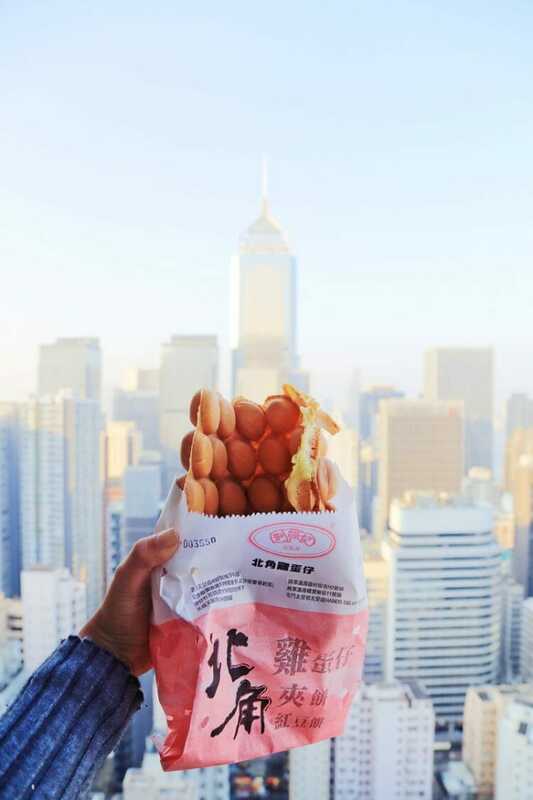 Hong Kong street food is considered a staple for locals, especially students and office workers who need a quick, cheap and tasty snack. 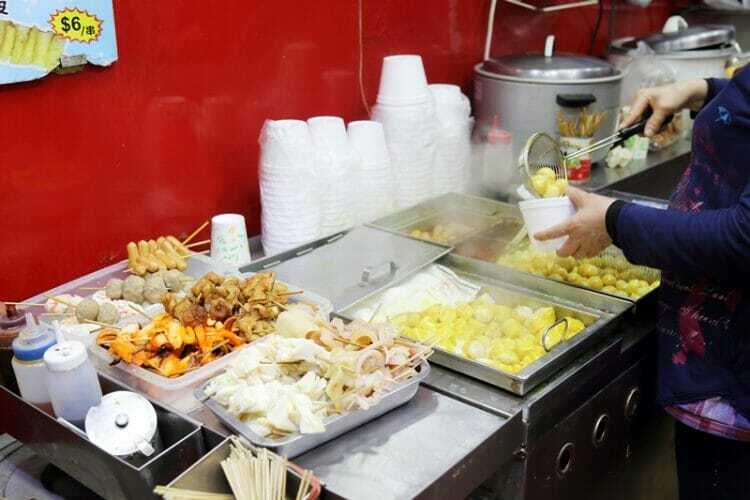 The food (and smells) can be overwhelming and confusing, but you absolutely need to try the cheong fun (rice noodle rolls often served with a peanut and hoisin sauce), curry fish balls (made from fish paste) and garlic noodles. 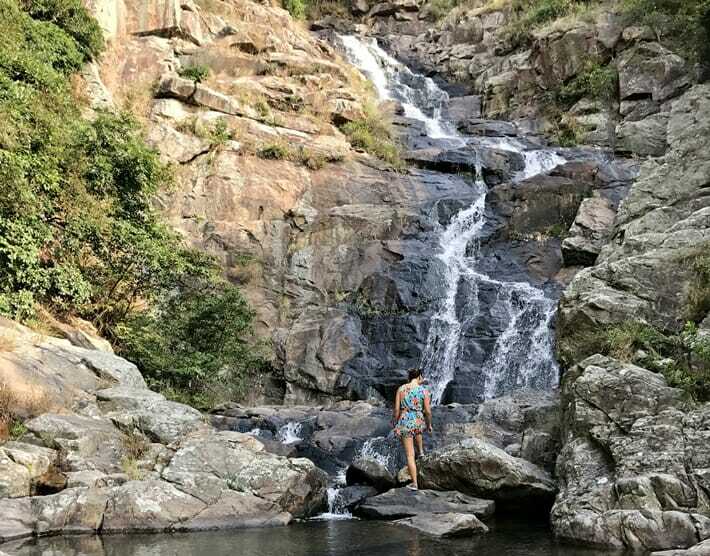 Feeling adventurous? It’s not for me but you might want to try out the intestines or lungs. Hong Kong is home to an burgeoning cocktail scene and has some of the best bars and bartenders in the world. 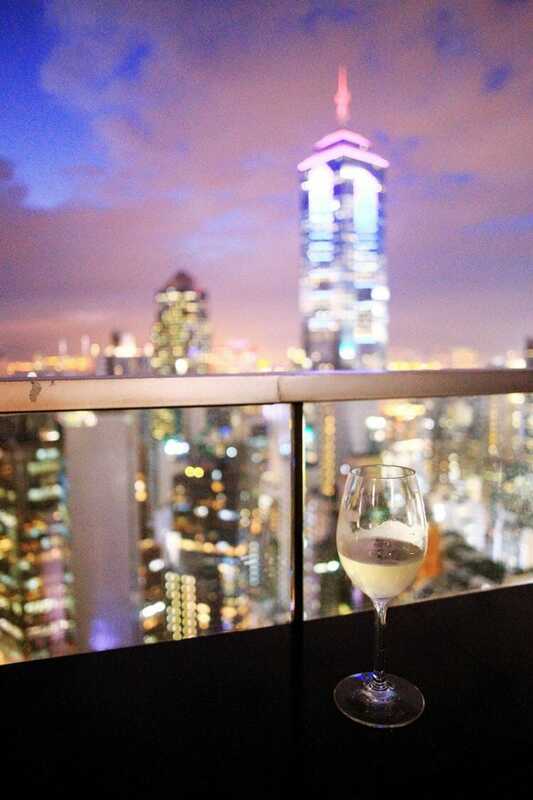 Here are some of my favorite local haunts and the best rooftop bars to check out in Hong Kong. 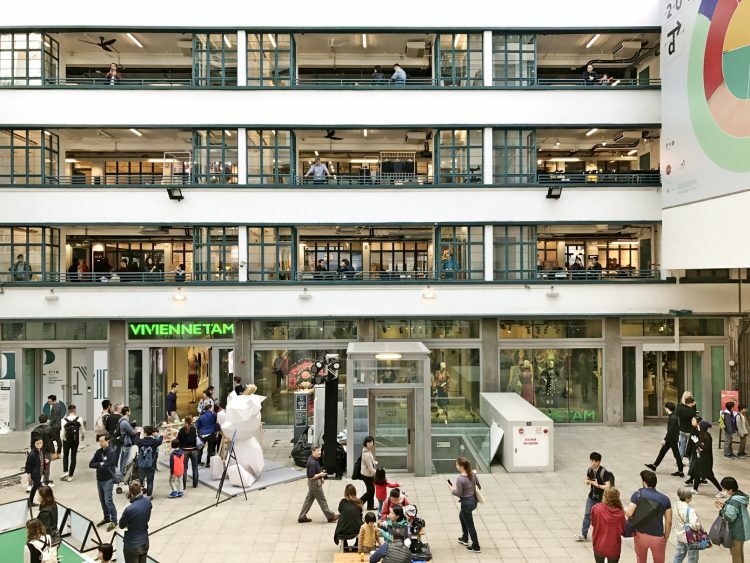 If you do your research in advance, you’ll be able to check out some outrageously funky bars – like this bar which is disguised as a ping pong equipment shop, or another which looks like a high-end umbrella shop! 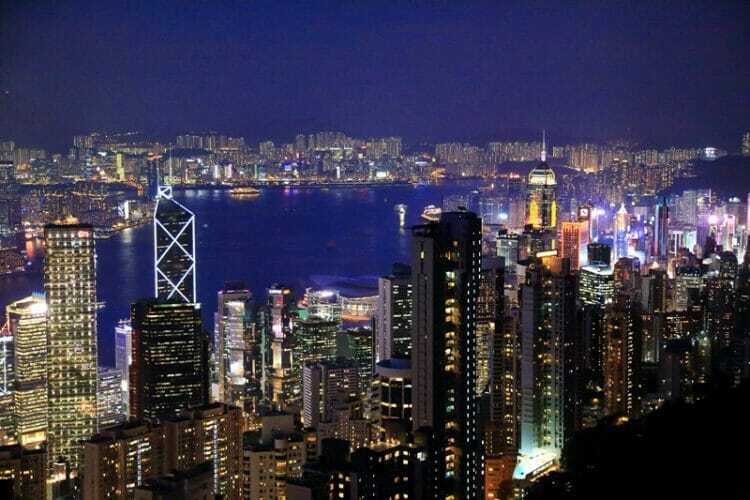 Most visitors opt to book hotels on Hong Kong Island or on Kowloon side. But you might want to check out the location review scores before you commit. 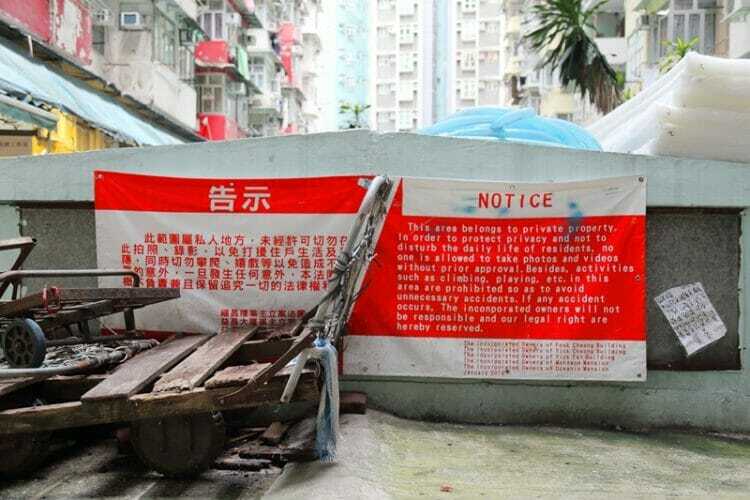 There are a lot of little side streets and walk-ups in Hong Kong, especially if you’re planning on booking an AirBnB, and some cheaper hotels aren’t the easiest in terms of public transportation accessibility. Want a hotel with maximum convenience and easy access to the MTR? Look into hotels in Wan Chai, Central, Soho, Sheung Wan and Causeway Bay on Hong Kong Island. Click here to book accommodation in Hong Kong! 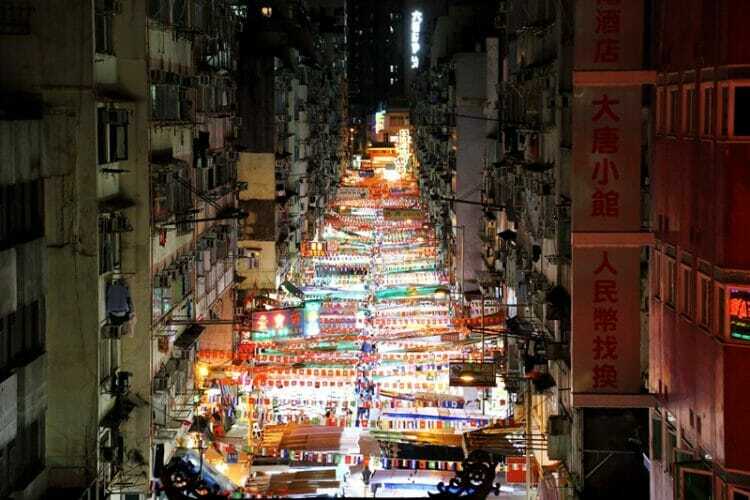 Not a first time visitor to Hong Kong and want to get off the beaten path? Check out this article listing 17 things to do in Hong Kong that probably aren’t in your guidebook! Hong Kong has an unfortunate addiction to air conditioning. Owing to the fact that Hong Kong suffers from extreme humidity, most shopping malls, shops and office buildings blast the A/C to prevent mold and moisture build-up. In the summer months from June to August, you might experience massive temperature fluctuations throughout the day, and many people fall ill as a result. You’ll want to make sure you have a sweater, cardigan or scarf when you’re stepping indoors, and an umbrella for unpredictable rain showers. Trust me, it’s better than having to fork over HK$50 for a cheap, flimsy umbrella during a rain storm! Hong Kong is not a year-round tropical country as many people seem to believe. Summers are HOT with the temperature reaching over 30 degrees Celsius, and it gets fairly cold during the winter months (December to February) – sometimes the temperature dips to below 10 degrees Celsius! Because Hong Kong can get extremely humid, 30 degrees Celsius often feels much warmer (and stickier), and cold weather is amplified and can chill you to the bone. The best time to visit Hong Kong is from March to early June, and September to November when the temperature and humidity is milder. What is “Golden Week”, you ask? It is 1 of 2 national Chinese holidays and takes place during the first week of October. During this week, Hong Kong gets extremely busy with visitors from China and hotel prices are exorbitant. Time your visit before or after Golden Week, but not during. 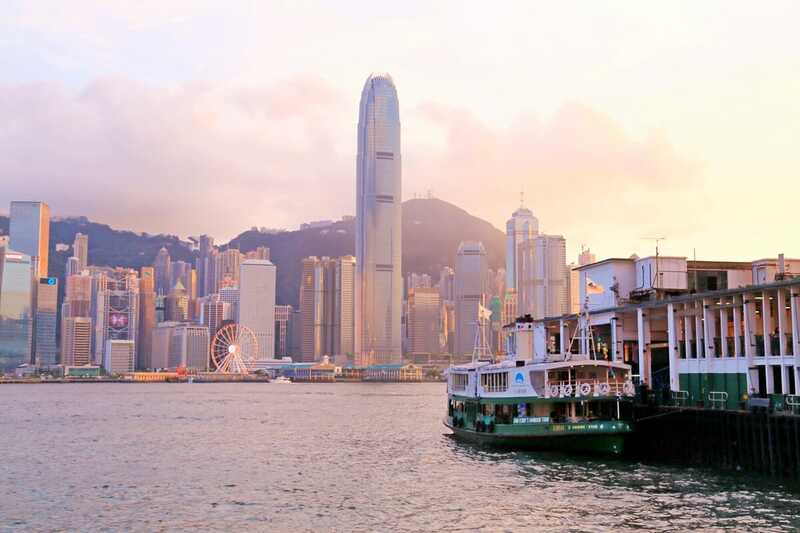 Don’t visit Hong Kong at the wrong time of year, especially as hotels can double in price and book out months in advance – Golden Week is not the only time of year that Hong Kong gets significantly busier with tourists. If you are a rugby fan, Hong Kong hosts one of the major sevens tournaments in March/April every year, the Hong Kong Sevens. 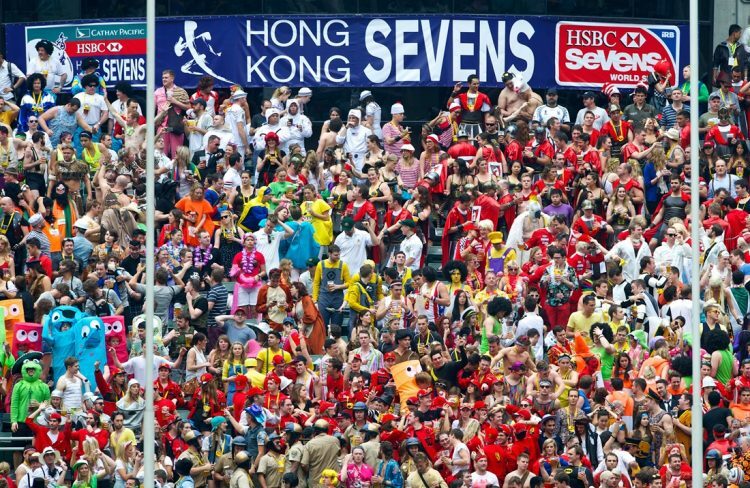 Rugby fans from around the world travel to Hong Kong for the 3-day tournament and hotel rooms are in high demand over Rugby 7’s weekend. 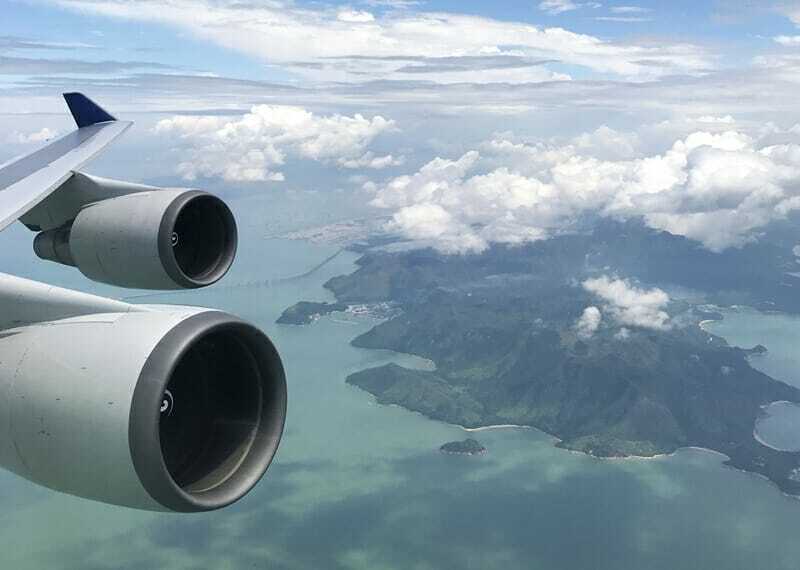 Hong Kong is also a major convention hub, which means it hosts a number of massive trade shows, fairs, conferences (like the Asia Yoga Conference) and expos throughout the year and receives an influx of business visitors all clamoring for hotel rooms. 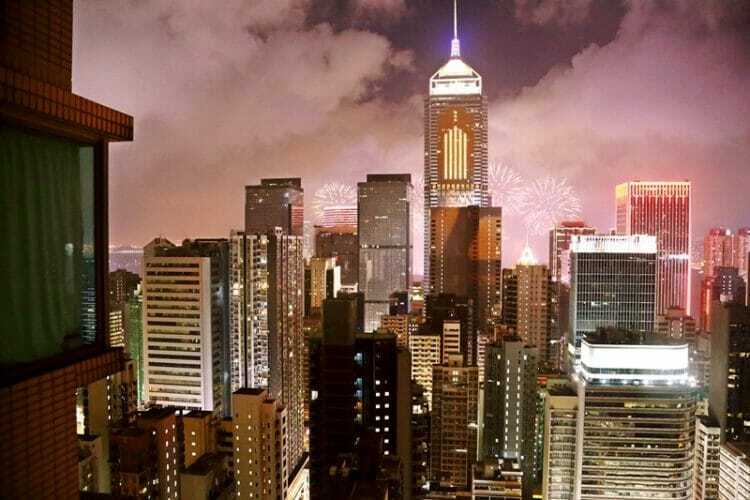 Chinese New Year is another time of year (January/February depending on the lunar calendar) when hotels tend to book up quickly, so make sure you reserve a room in advance if you are planning a visit to Hong Kong! Klook, Asia’s largest travel experience booking platform, was founded in Hong Kong in 2014, so naturally it has tons of partner merchants in the city including Hong Kong Disneyland, the Ngong Ping Cable Car, the Airport Express, the Peak Tram and more. If you’re visiting Hong Kong you absolutely must download Klook in advance. Get 15-30% off your one-way or round trip Ngong Ping Cable Car tickets and skip-the-queue, get 10-15% off your Aqua Luna harbour cruise, get 30% off your Airport Express ticket, or buy Hong Kong Disneyland tickets at nearly 15% cheaper than the price at the gate! Looking for more deals? Click here to check out even more Klook deals in Hong Kong. Sign up for a Klook account using this referral link and get HK$25 (US$3.5) off your first travel booking! I’m all for saving a buck, but not when it comes to animal welfare. 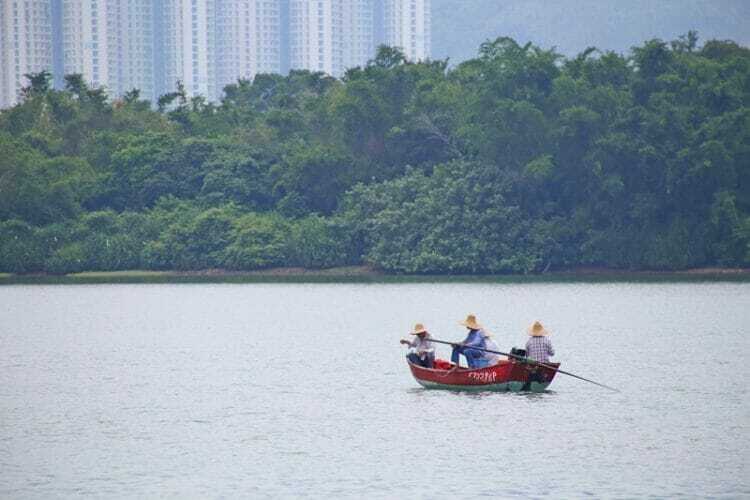 Unbeknownst to most people, Hong Kong is home to a small (and shrinking) population of dolphins. And not just any dolphins – pink-coloured dolphins! 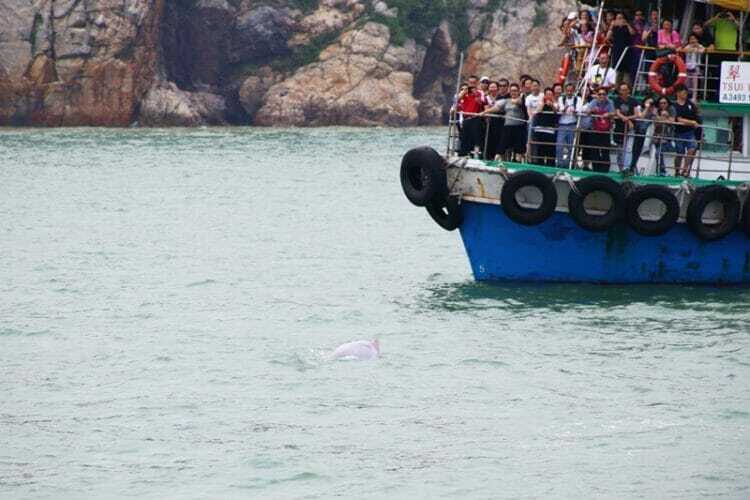 This endangered species can be spotted off the coast of Lantau Island, and several tour operators run pink dolphin watching tours. However, not all tour companies are made equal, and many companies don’t abide by dolphin watching codes of conduct and will chase the dolphins, often scaring the animal or injuring them with motor propellers. 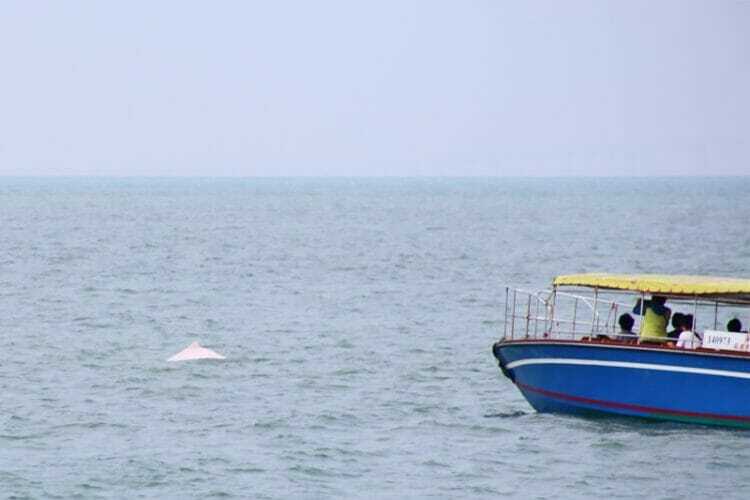 Instead of going on any random cheap pink dolphin tour, I recommend Hong Kong Dolphinwatch – you can read more about the Hong Kong pink dolphin by clicking here! Though Hong Kong may be small, it packs a punch. 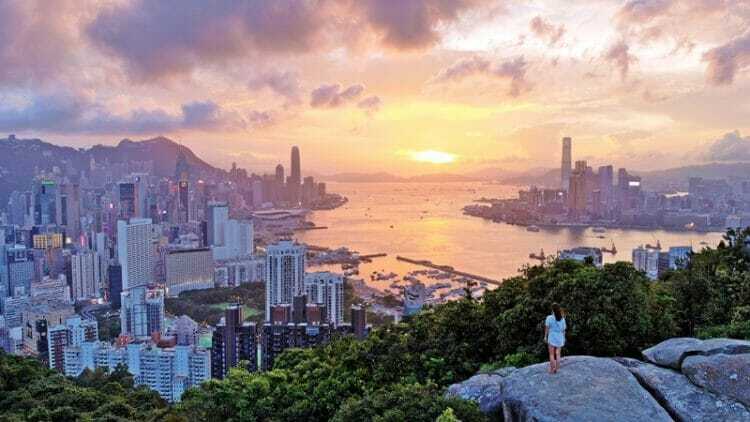 While it is easy to get around, you’ll find that 3 days in Hong Kong is not truly enough if you’re looking to explore the city beyond the top tourist attractions and explore all of its nooks and crannies. If it’s your first time to this city, you’ll need 4 to 5 days in Hong Kong at the very minimum just to cover the most iconic and “must-visit” places. If you think about it, 3 days = only 9 meals, and that is not nearly enough time for all the delectable food in Hong Kong! One of the biggest travel mistakes you can make in Hong Kong is to only visit the famous attractions. 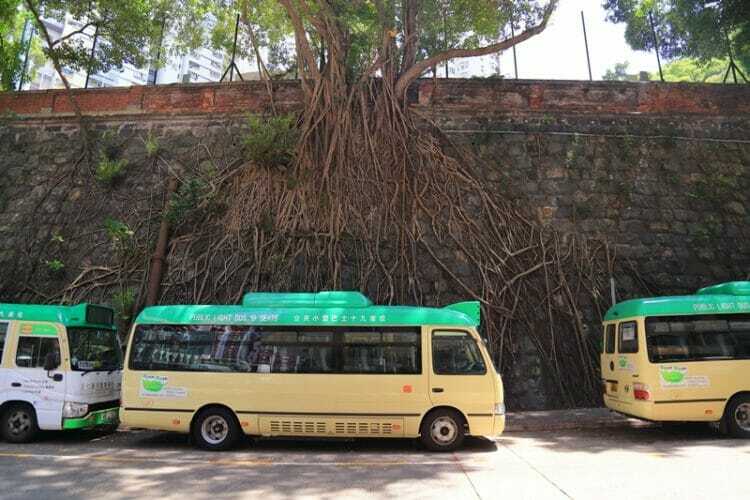 Sure, you’ve heard about the Peak Tram, the Big Buddha and Stanley Market…but there are a whole host of off-the-beaten-path places to visit and things to do in Hong Kong that the guidebooks don’t tell you about. 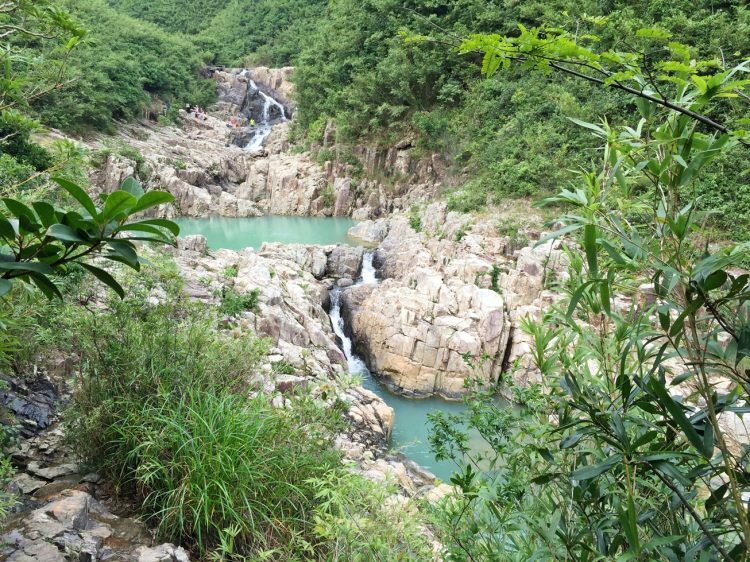 It’s not difficult to explore Hong Kong off the beaten path, you just have to know where to go. Read on for 17 unique things to do in Hong Kong or head on over here for easy Hong Kong day trips to do if you are able to spend a week or even longer in the city – trust me, you won’t regret it! 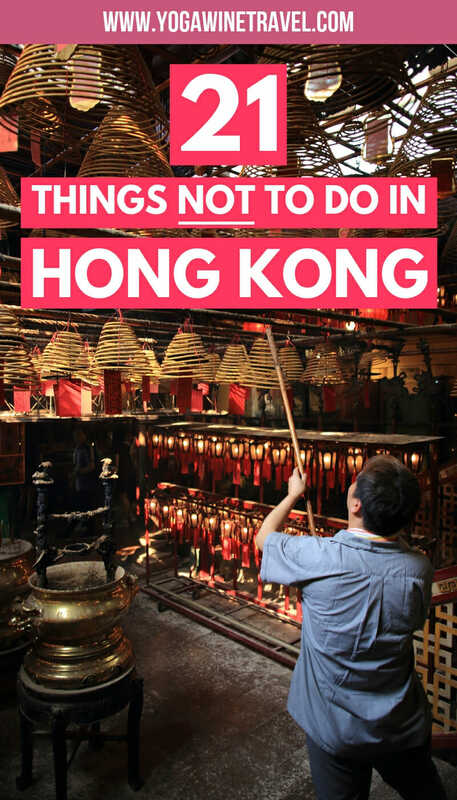 I hope this guide of what not to do in Hong Kong helps you to better plan your trip to my home! If you are looking into where to stay, check out hotels in Central, Soho, Wan Chai, Sheung Wan and Causeway Bay to make the most of your time in the city. Click here to book accommodation in Hong Kong. Overtourism in Pamukkale: Is it Worth Visiting Turkey's Cotton Castle? Perfect to do list! Hong Kong is always my favorite place & will never be bored to visit again 🙂 I will choose a few of to do’s from this list on my next visit. Thanks for sharing such a great list. 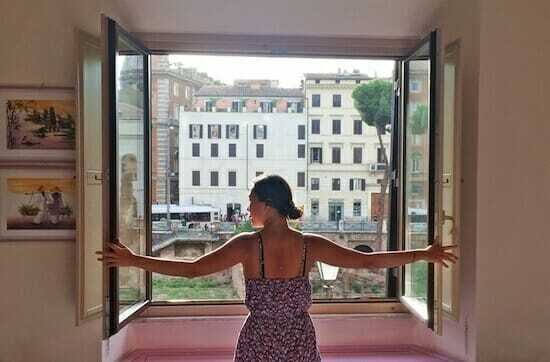 Hi Deepa, thanks so much for taking the time to read this! Hope you get to visit Hong Kong again soon. Amazing pictures! I really enjoyed reading this. Those funky bars looks interesting. Saving this guide for later! Hi Johanes, thanks so much for taking the time to read this! You could go to a bar a day and never get through all of them in Hong Kong.